I have more than just quick easy dinner recipes, check out more dinner recipes below. What's for dinner? Savory, bubbling comfort food - a meal that goes perfectly with salad and a crusty loaf of bread. 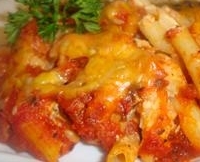 I have listed my favorite homemade dinner recipes - chicken dinner recipes first, and my beef casserole recipes follow. Can you say quick easy dinner recipe? That's this one, and it's wonderful. PREHEAT oven to 300 degrees. Grease a casserole dish. Fry onions and celery in butter until tender. Add cream soup. Add chicken broth (or water) and whisk together. Stir in mushrooms and noodles; mix well. Pour into prepared casserole dish and bake for 45 minutes. Add chow mein noodles on top - bake for another 15 minutes. Serve with fresh salad and my homemade salad dressing. *You may also use a rotisserie chicken. This is down right sinful (but I love it). The next quick easy dinner recipe is delightful and can be served for company. It's simple to prepare and delicious. 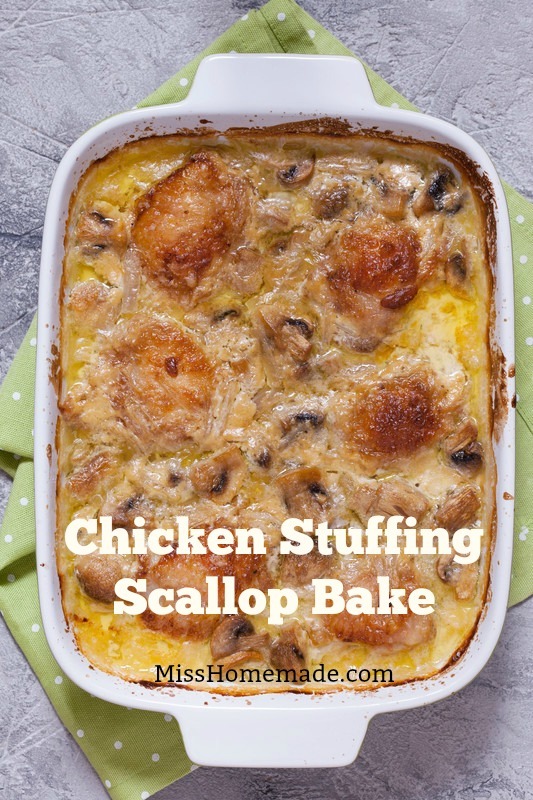 Here's another way to prepare this chicken casserole recipe. 1.) Cut up chicken into chunks. 2.) Cook chicken and minced garlic together in a pan with a few tablespoons of olive oil. 3.) After chicken was cooked, add the soup, cream, 1 cup shredded mozzarella, and lemon juice. 4.) Stir it all up on medium heat til creamy and then poured the entire mix on top of the spinach and mushroom layer as stated in the recipe. Then sprinkle crumbled bacon on the top and baked for 25 minutes. Eat this on top of buttered pasta. For the following quick easy dinner recipes, I am using ground beef. You will love this quick easy dinner recipe. Cover and cook 3-4 hours, longer if using frozen chicken breasts. It will NOT be dry so do not add anything more to this recipe. This is certainly a quick easy dinner recipe at my house. More quick easy dinner recipes coming up. This is an OLD recipe, I hope you understand how I wrote it. It's hard to describe, but if you have any questions, please send me a note. Stew the chicken with the seasonings above until tender. Melt 3 TBS butter in the bottom of a skillet and add 3 TBS flour. Cook for one minute and slowly add 2 cups of the chicken stock (from the cooked chicken). Add more stock if needed. Pack bread (torn into small pieces) into a measuring cup - you will need three cups. Add 1 well-beaten egg, salt, pepper and a dash of thyme. Scald milk in a large saucepan and add the butter. The 3 cups of packed bread is stirred into the milk and small balls are formed. Drop these dumplings in chicken gravy you just made and cook for 10 minutes. Place the chicken in the center of a large platter and cover with the thickened chicken gravy. Surround this by the dumplings. For this quick easy dinner recipe, you may substitute pork chops for the chicken. Or you may use 4 chops and 1/2 of a chicken. Delish. Mix the vinegar and soy sauce together. Place chicken pieces in a dutch oven and pour the vinegar mixture over it. Then add the remaining ingredients. Bring to a boil and simmer until done; approximately 1-1/2 hours. This quick easy casserole recipe is outstanding. Sounds like a lot of work - but it's not. Enjoy. Parboil chicken* in salted water with the whole onion and chopped celery. After 15 to 20 minutes, remove the onion and keep the liquid. Skin chicken and slice thin. Parboil spaghetti** in salted water. Rinse in cold water and remove the fat from the chicken broth. Melt the butter in a saucepan and add the flour. Mix together and slowly whisk in the broth to make a heavy sauce. Add Worcestershire sauce, mushrooms and half of the grated cheese. Place a layer of parboiled spaghetti (drained) in a 9x13 inch pan. Then a layer of chicken, then a layer of cheese sauce. Alternate layers, with cheese being the final layer on top. Sprinkle with paprika (optional). Bake for 15 minutes or until cheese is melted. *Parboiling is similar to boiling, but done at a simmer (rather than a full boil). Bring salted water to a boil and add chicken breasts. Lower heat and simmer for fifteen to twenty minutes. This takes a big chunk out of the cooking process. For a quick easy dinner recipe tip - do this to chicken before you grill it. **Parboiling pasta is the same thing. Bring a large pot of salted water to a boil and add the pasta. Once the pasta "wilts" and water comes to another boil - it's ready. Drain. You can use these methods in any easy casserole recipe or dish. Parboil pasta in the morning (before the afternoon heat) and toss lightly with oil. Refrigerate in resealable bag. Boil for a couple minutes before you need it and it's ready for the recipe. Ta-da. 4-1/2 to 5 lb stewing chicken and cover with water. Add 1 teaspoon of salt and simmer until tender. Do NOT boil. Cover and cool overnight (in liquid) - in refrigerator if you have the time. The next morning skim off the fat; reserve 1/2 cup of fat for gravy. Keep chicken stock. Remove skin from the chicken and grind in blender. Bone chicken and cut into bite-sized pieces. Set aside. Place chicken fat in skillet over medium heat and add the flour. Whisk in chicken stock, stirring until smooth. Add more salt if necessary. Cook butter or fat with chicken skin, onion and celery. Now pour this over the ripped up bread. Spoon dressing into greased 9x13 inch pan and arrange chicken over the dressing. Pour chicken gravy over this, then cover with buttered dry bread. Bake for 1 hour. For this quick easy dinner recipe, I have included a wonderful mushroom sauce. Wonderful. Just wonderful. Prepare 1/2 (1-3/4 cups) herb-seasoned stuffing according to package directions. Spread into bottom of greased 10"x6" baking dish. In a saucepan, melt the butter and blend in the flour and a dash of salt and pepper. Add the broth and cook until mixture thickens. Stir in 1/2 cup of this mixture in with the eggs (temper) and then return back to the hot mixture. Mix well and pour over chicken in the baking dish. Make the mushroom sauce and pour over all. Bake for 30 to 35 minutes or until knife inserted off-center comes out clean. Let stand 5 minutes to set and serve. Mix the above ingredients together in a saucepan and heat through. Pour over chicken dish above before baking. 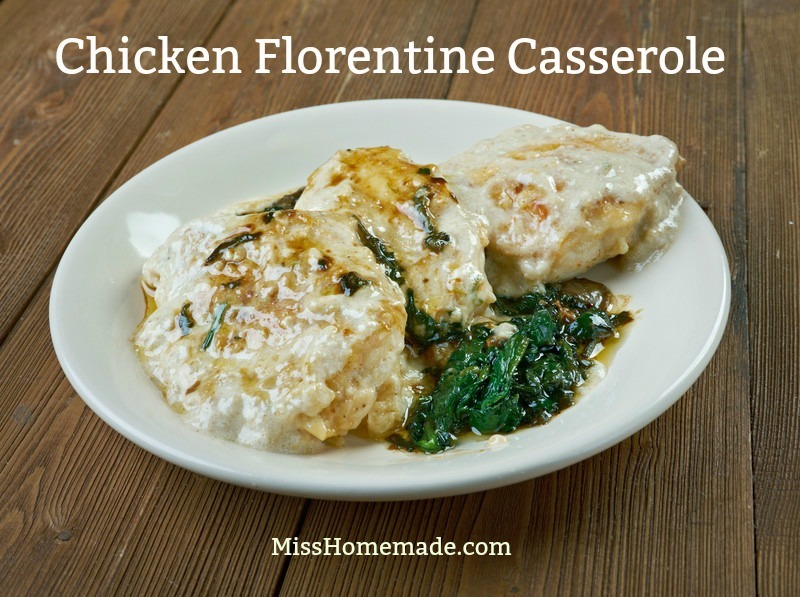 This quick easy dinner recipe is tasty and wonderful with fresh bread and a salad. Bake some "yum" tonight. PREHEAT oven to 350 degrees. You will need a large casserole dish or 9x13 pan. Brown hamburger and drain off excess fat. Season with garlic and onion powder. Spread on the bottom of baking dish. Spread raw onion, then celery and finally green pepper. Combine tomato soup with water and mix well. Pour over casserole. Layer sliced potatoes on top. Mix mushroom soup and milk together first and pour over all. Bake covered, for 1 hour or until potatoes are tender. If you want the casserole to be brown on top, take the cover off the last 20 minutes of baking. Quick easy dinner recipe - all American favorite. Press raw hamburger into the bottom of a square baking dish. Add garlic and onion powder, salt and pepper to taste. Mix the two soups together and pour over the seasoned hamburger. Top with french fries and bake for 1-1/2 hours. This is quick easy dinner recipe is a different take on the usual hamburger casserole. PREHEAT oven to 375 degrees. Butter a casserole dish. Brown the hamburger (with the celery and onion together until tender). Place the the prepared baking dish and season with garlic and onion powder. Mix the remaining ingredients together and pour over burger. Bake, covered, for 1-1/2 hours. This quick easy dinner recipe has a tangy delicious sour cream sauce. Lovely. I use an electric frying pan for this recipe. You could also use a large skillet. Saute onion in butter in a large skillet. Add the ground beef and brown lightly. Place dry noodles in layers over meat. Combine tomato juice and seasonings; pour over noodles. Bring to a boil, cover, and simmer for 20 minutes. Meanwhile, saute the mushrooms in 1 TBS butter in a separate pan; drain. Add the green pepper, cover and continue cooking for 10 minutes or until the noodles are tender. Stir in the sour cream and sauteed mushrooms. Heat just to boiling. Season with salt and pepper. You may top this with green pepper rings. This homemade quick easy dinner recipe is requested often. Brown the hamburger and drain. Mix the onion soup mix, mushroom soup, milk, molasses and soy sauce together. Add the vegetables and ground beef; mix well and place in prepared baking dish. Bake for 1 hour. Remove and add Chinese noodles on top. Bake another 10 to 15 minutes. Combine ground beef, pork, bread crumbs, seasoning, tomato paste and egg. Mix well and lightly shape into 1-1/2 inch balls. Brown in shortening, reduce heat and cook for 10 minutes or until tender. Serve over cooked noodles with mushroom sauce. Combine soup with 1/2 cup water and remaining ingredients. Mix well and heat thoroughly. Grab some French bread for this quick easy dinner recipe. We love this homemade "casserole." Saute onion, green pepper and mushrooms until tender in a skillet with butter. Add ground beef and season with garlic and onion powder. Fry until no longer pink. Meanwhile, place tomatoes in a saucepan and add the salt and white sugar. Heat until dissolved. Mix everything together in a large bowl and place in prepared baking dish. Bake for 30 minutes. Serve with grated Parmesan cheese, garlic bread and a fresh salad with my homemade salad dressing. I hope your family enjoys these quick easy dinner recipes as much as we do. Please bookmark this page, because I will be adding more delicious quick easy dinner recipes in the future.